Dr. Janice L. Sumler-Edmond has served as a professor of United States History, African American History, and Constitutional History and Law at Huston-Tillotson University in Austin, Texas since 2002. She is also the director of the W. E. B. DuBois Honors Program that is dedicated to motivating talented students, fostering intellectual independence and excellence, and preparing students for graduate schools and professional careers. 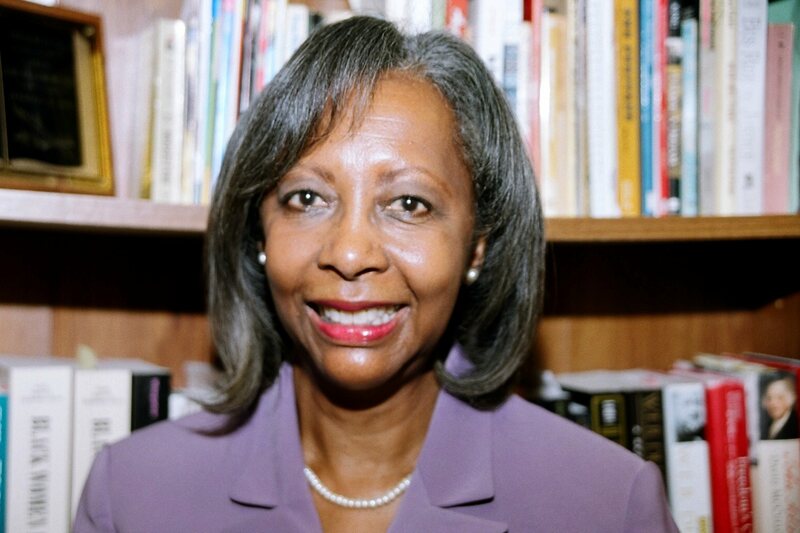 Previously, she taught history at Clark Atlanta University and served as the chair of their History Department. For one academic year she worked as an associate dean in the College of Arts and Sciences. Professor Sumler-Edmond completed her undergraduate degree and a Master of Arts degree, both in the field of history, from UCLA. She also became a member of Delta Sigma Theta Sorority, Inc. After teaching for several years at Chaffey Community College in California, where she introduced a course in African History, Professor Sumler-Edmond returned to graduate school. She earned a Ph.D. in American History from Georgetown University and the J.D. degree from the UCLA School of Law. Professor Sumler-Edmond became the first African American women to serve as a Judicial Fellow at the Supreme Court of the United States in Washington, DC. She spent her Fellowship year (1991-1992) working in the administrative offices of then Chief Justice William Rehnquist. Jet Magazine announced her court appointment. As a practicing attorney, she also worked with the Atlanta law firm of Mack and McLean in the areas of labor, employment, and school law. One of her first assignments at the firm was the drafting of an anti-Apartheid ordinance adopted by a municipal government. In the field of history, Professor Sumler-Edmond’s most recent book is entitled The Secret Trust of Aspasia Cruvellier Mirault: the Life and Trials of a Free Women of Color in Antebellum Georgia. She is also the co-editor of two books: Black Women’s History at the Intersection of Knowledge and Power with Rosalyn Terborg-Penn and Freedom’s Odyssey, African American History Essays from Phylon with Alexa Benson Henderson. Professor Sumler-Edmond is the author of several scholarly articles, and she is a frequent conference presenter. Her article “Free Black Life in Savannah” appears in Slavery and Freedom in Savannah edited by Leslie M. Harris & Daina Ramey Berry. In addition, Women in Social Movements in the United States, an on-line journal, will publish Professor Sumler-Edmond’s article “Sarah Parker Remond, a Colored Lady Lecturer at Home and Abroad.” In February 2014, she presented her research on early twentieth-century activists in Austin for a Black History Month program at the George Washington Carver Museum. Professor Sumler-Edmond is active in a variety of organizations within the history profession. She has just completed a term of service on the editorial board of the Georgia Historical Quarterly. She is a member of the Board of Trustees for the Amistad Research Center in New Orleans. She also holds membership in the Southern Historical Association, and the Association for the Study of African American Life and History. Professor Sumler-Edmond is especially proud to be a life member and a former national director of the Association of Black Women Historians.